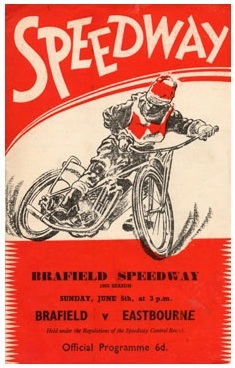 Brafield Sports Stadium was situated in Brafield near the town of Northampton and witnessed its first speedway in 1949. Although plans had been afoot for some time, the first recorded meeting took place on 10th September 1949. The Stadium was used as a training ground for a good proportion of its history, initially in 1951. 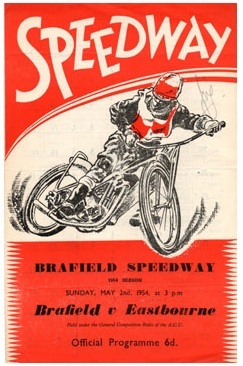 By 1953 the team took part in Open racing and did have a stint in the Southern Area League from 1954 to 55. The team did suffer from poor support although they had 3 separate bouts of racing in the early 50's, mid 50's and mid-60's. Track lengths for the team have varied between 335 yards in the 60's up to 430 yards in the mid-50's. Throughout their history the team has been known as the Fling Foxes and the Badgers.